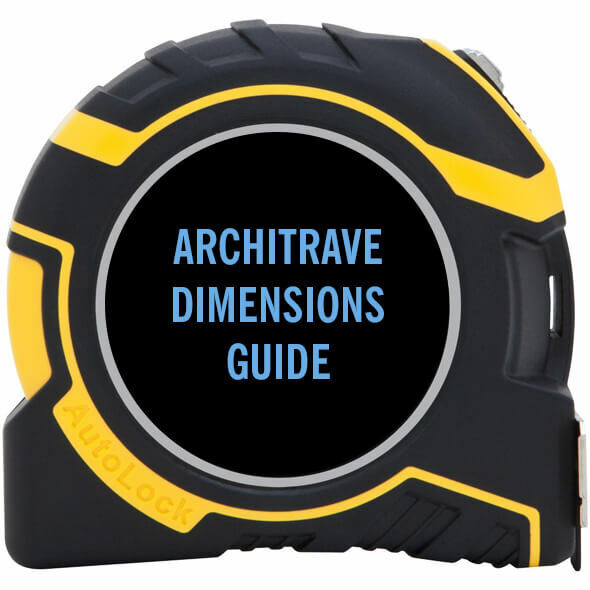 If you are struggling to understand which dimension refers to which face of an architrave, then this guide should answer your questions. 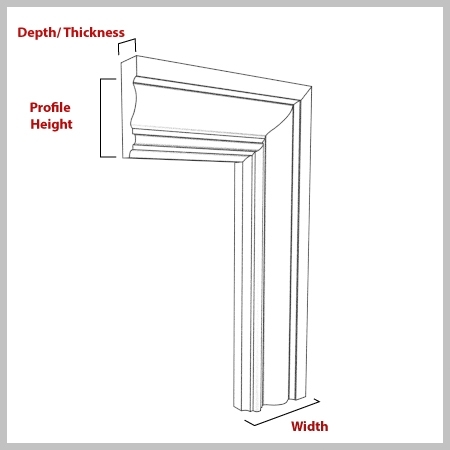 All of our architrave products have three dimensions which will need to be specified. These are the: length, thickness and width. We also provide the height on each of our mouldings. This allows you to judge whether our design will match with an existing architrave which you may already have. Length/Door Set: This is how long the piece of architrave will be – how far it will run up or along your wall/doorway. 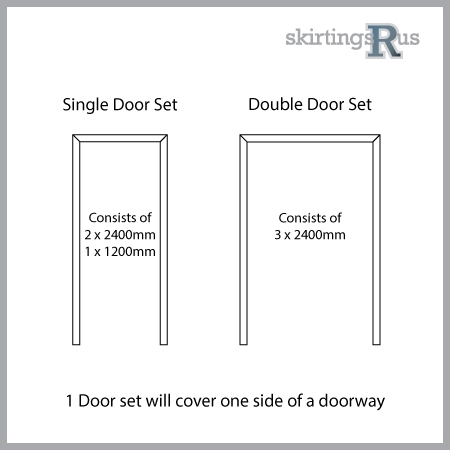 If you select door sets, then you will be supplied with enough lengths of architrave to cover one side of a standard doorway – you will choose either a single door set (one side of a single doorway) or a double door set (one side of a double doorway). Thickness/DepthThis is how thick the board will be. This is measured from the wall outwards. WidthThis is how wide the architrave will be running around your doorway. This is measured from the top of the architrave shape to the bottom flat edge of the architrave, and is usually around 69mm/Ex 3”. There are two parts of the architrave you can measure. If you are measuring an upright architrave (leg or jamb) this is left to right. If you are measuring a horizontal head this is top to bottom. Profile HeightThis is how high the moulding/shape is on the architrave, and is when measured from the start the the end of the shaping.